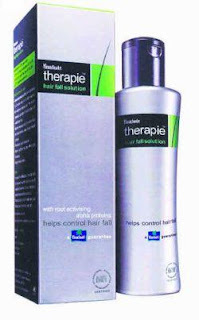 I want to share with you some products that were recommended for my hair fall (Alopecia) by a dermatologist (God bless him!) which have really worked for me. The reason was I was doing too much to my hair. Straightening, coloring (at one time 3 times a month!). I stopped coloring my hair for about 5 months and now I've started seeing baby hairs poking up. 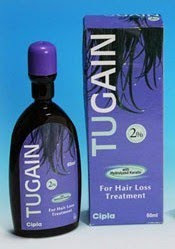 Tugain ~ It is basically the same as Rogain because they both contain Minoxidil. 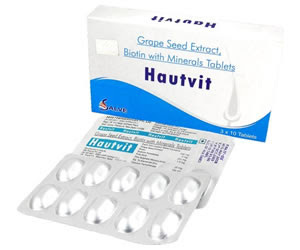 Biotin tablets ~ Namely Essvit, Hautvit. told a popular magazine that she takes Biotin tablets everyday. 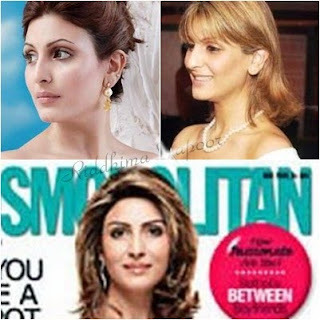 The woman changes her hair color a lot! From deep browns to blondes to other shades of blonde, but her hair never looks straw-like. ***I noticed that biotin tablets also make my body hair and nails grow rapidly fast too. So it can be a pain to have to wax, shave and file your nails more often than you do. and I didn't use it long enough to see if it works for me because it smells horrible! Which makes leaving it overnight very disturbing, for me and the person sleeping next to me. Some say rubbing your nails together stimulates hair growth. What do you think? Disclosure ~ Please use the above information with discretion. What works for me might not work for you. oh my god! i have curly, bushy hair but the scalp still shows! i don't suffer from any kind of hair fall, it's been this way since i was born. i soo identify with you! It's so funny you mention that nail thing, I was in the car with my mum and brother the other day and she was telling me that that grows your hair even faster. I didn't beleive her until my brother said that it worked as his friend who wears a pagh does it, he learnt it from yogi or something. I've been doing the nail rub since last week, I'm going to do it a bit long and see what happens! hey, I have tried this Tugain solution. I too have a hairfall problem since I contracted typhiod when I was 10 yrs old. So a friend suggested this. I kept at it, applying twice daily for two months, but then I just became lazy and stopped.. Besides I read on wikipedia that this minodoxil needs to be used lifelong or else when you stop - all the hair that has grown becoz of it falls out in 6 mnths.. dunno if this true.. But I had not heard of the biotin tablets.. Thanks for sharing this. I am having this problem since 12 years old. suspect it is hormonal problem. yet to find a solution. I am now using virgin coconut oil mix with pure essential oil i.e rosemary, lavender, grapefruit, peppermint etc. only massage before sleep and wash in the morning. can see some baby hair but nothing to shout about yet. When i got married i shifted base to Noida and water here is terribly salted and it completely ruined my rebonded long hair...My house was full of hair...after all those parachute hair oil and all I opened my old herbal remedies book and used hibiscus flower remedy..It did wonder to me with that i started having 2 fruits a day and calcium sandoz. Though i got my hair cut but now my hair are healthy and getting longer and thicker day by day..
aww... thats too bad ! @Anamika~Hi,thank u n welcome. Yup the water around here is very bad too. I pick up a lot of hair from my bathroom too. Glad to hear that yr hair is much better now. I have to check out this calcium sandoz! thanks for sharing! i was thinking of taking biotin supplements too, i have thin hair and i think as i get older i will have to face problems with thinning hair so need to prevent and cure before it's too late! hmmmmm do we get bitotin tabs in india? if yes by what name? Guys want to confirm if increase your facial hair too.Wheni stated taking Esvit i found facial hair on my face might be because of that tablet??? hey!,,could u suggest a good hairspray plz?..i have fine straight hair,,n i need body without ruining the texture,,,n of course that wouldlast a night! Maria- U can try Loreal Studio Silk & Gloss Fixing Spray. I haven't used a lot of hairsprays, but I am liking that one. thank u cynthia!.. :)..love ur reviews btw! wow! I used to think I was the only one who had this crown thinning problem and lets face it, no girl would ever want to talk about it willingly.But I read here a number of us seem to struggle with this issue. Whether the cause is medical (I have PCOS)or pollution,bad water or even the injected vegetables in the market, this is a serious issue. Try massaging warm olive oil on ur scalp at night.its not only deeply hydrating and nourishing but also promotes growth.I tried this out on scalp and eyebrows and could notice difference in brows in 2 weeks.